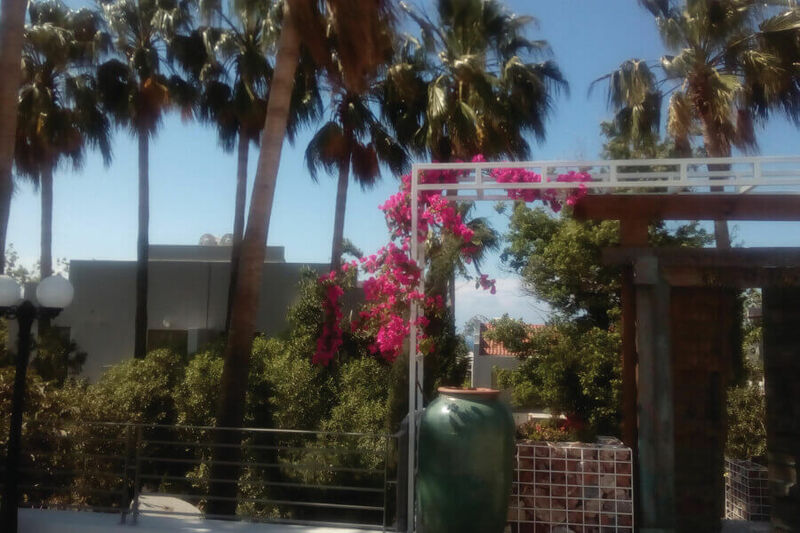 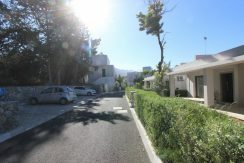 Village setting yet close to Kyrenia! 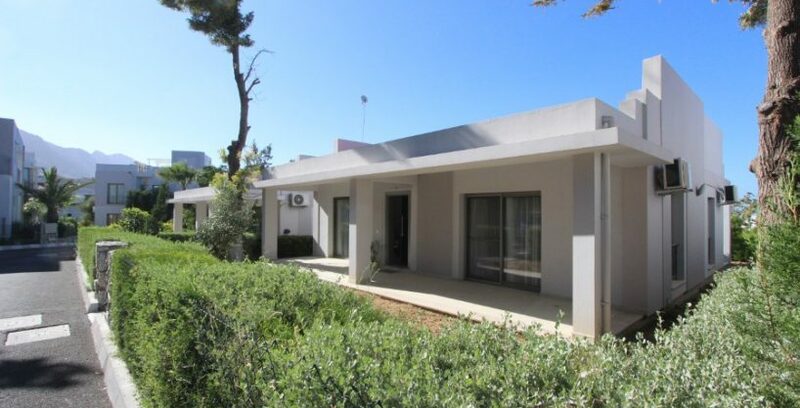 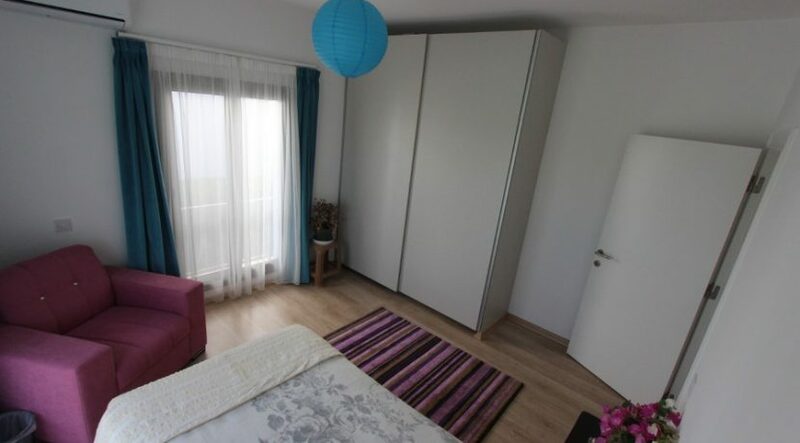 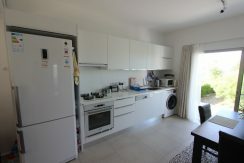 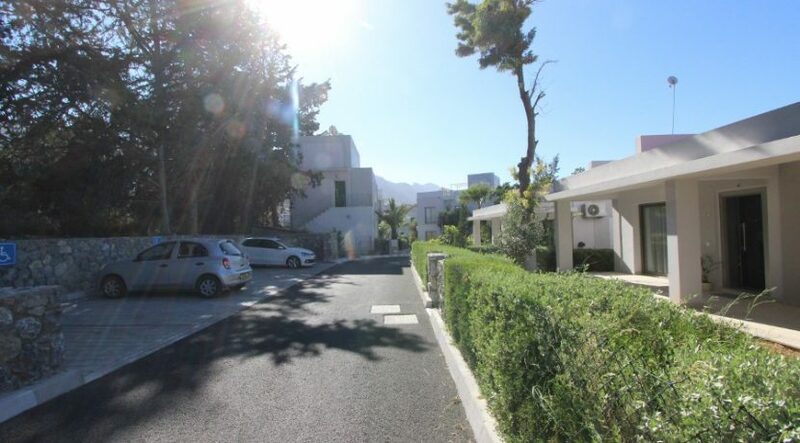 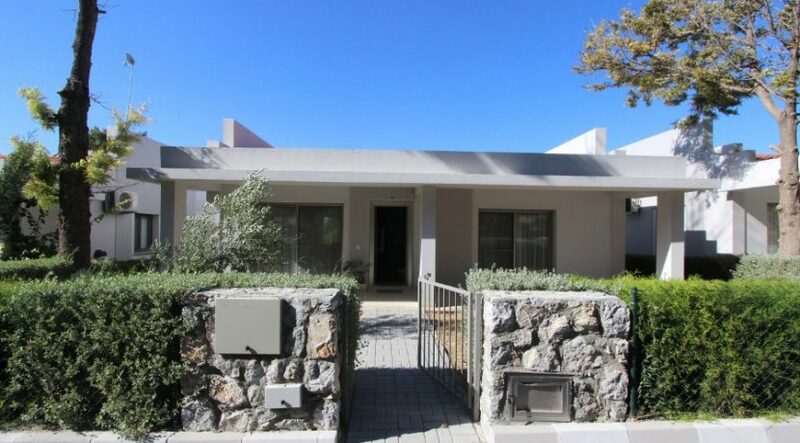 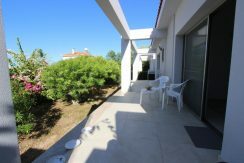 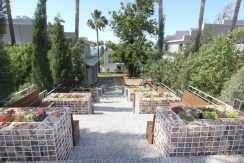 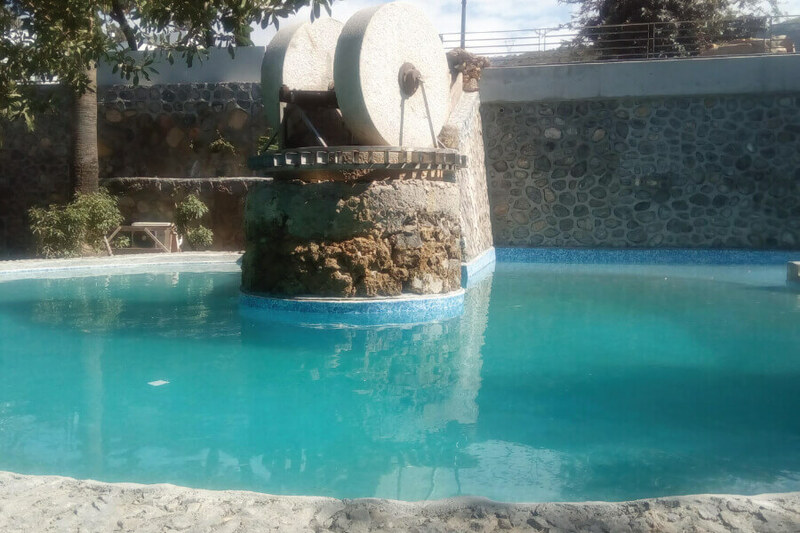 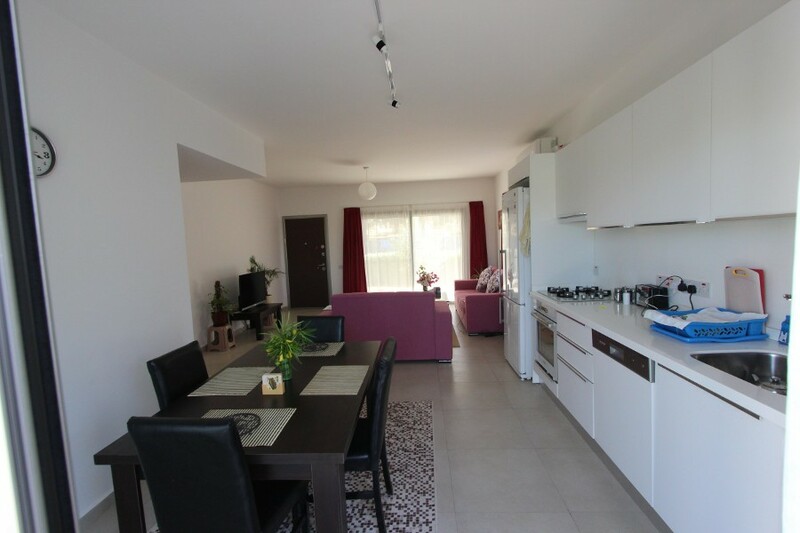 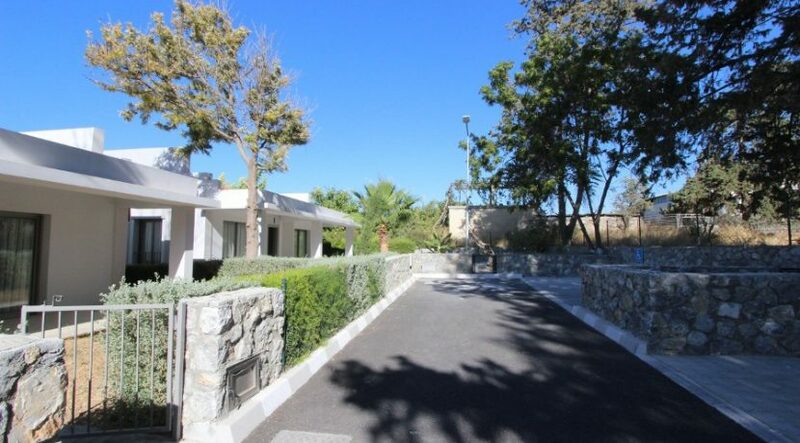 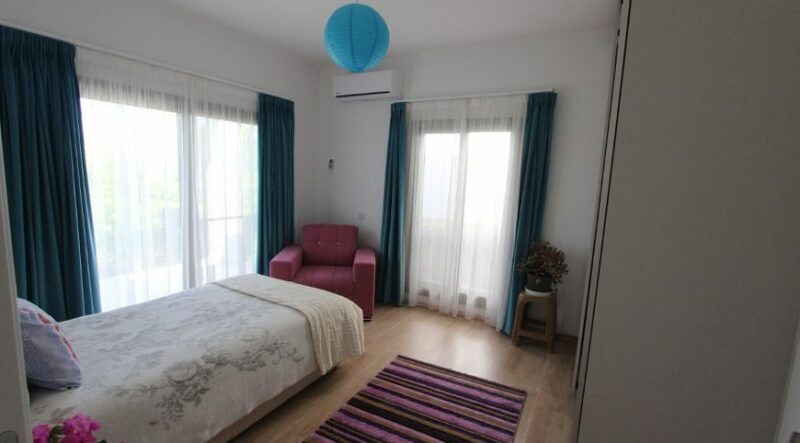 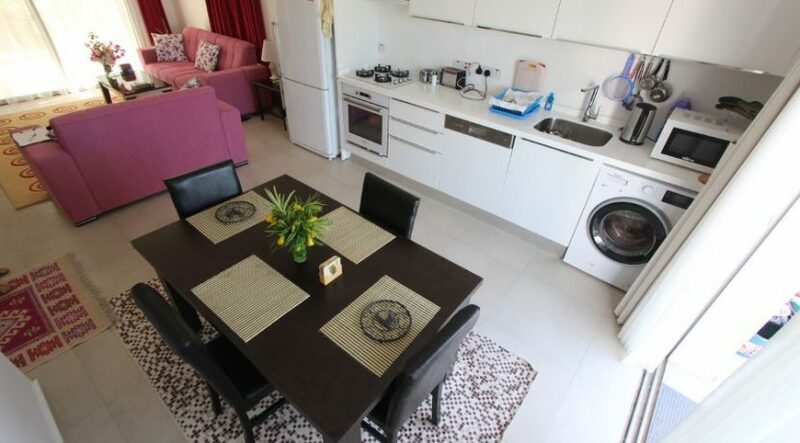 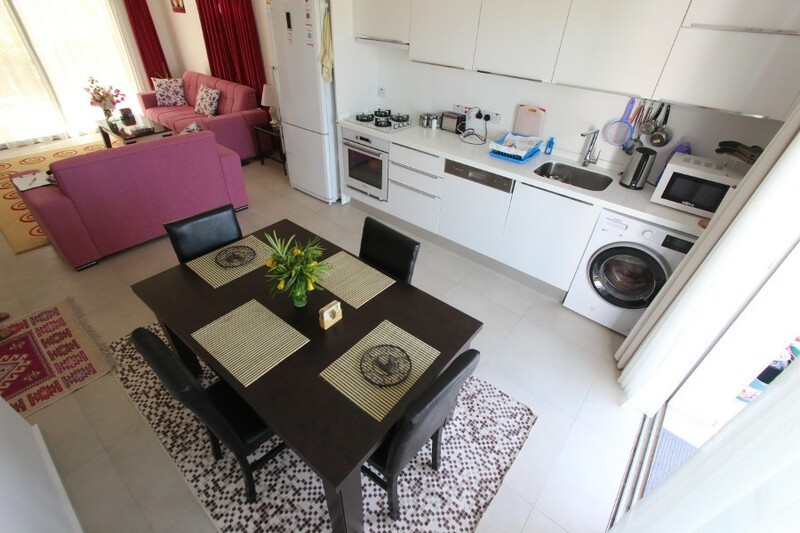 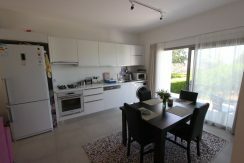 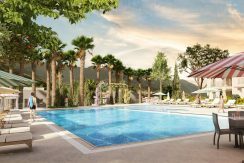 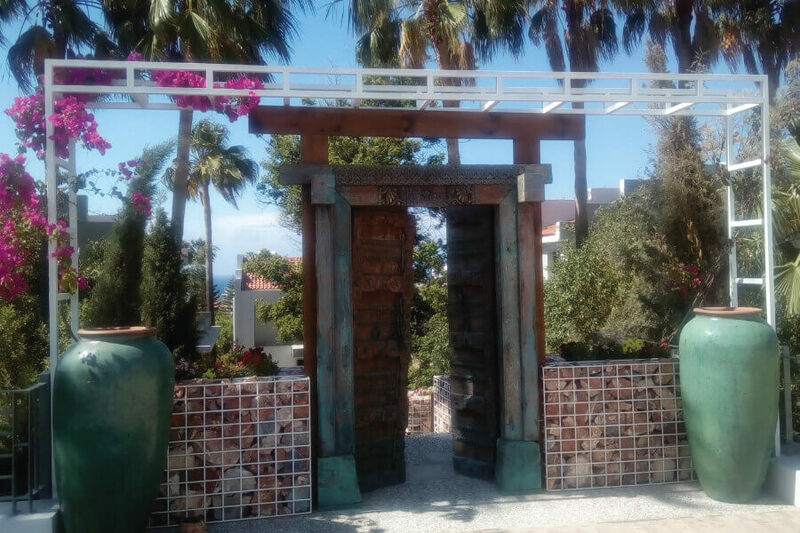 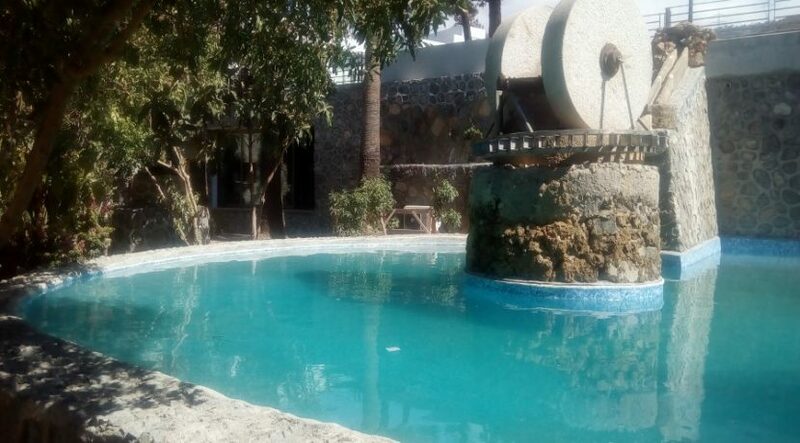 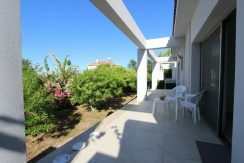 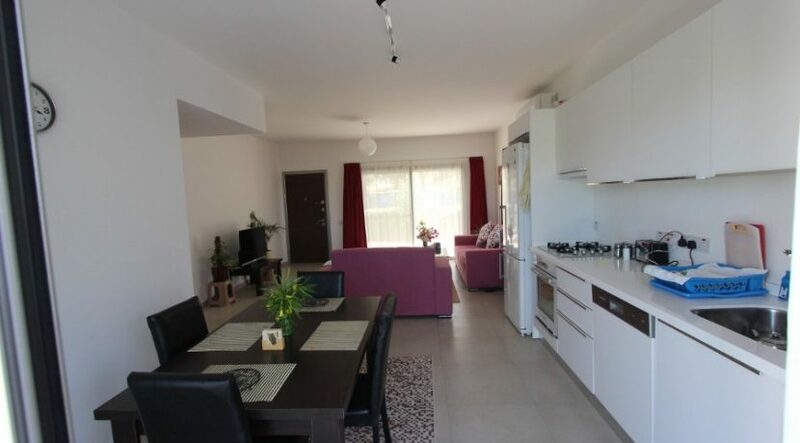 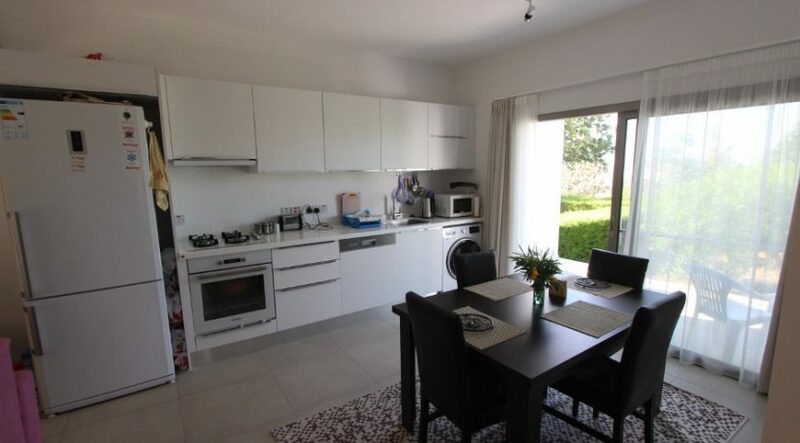 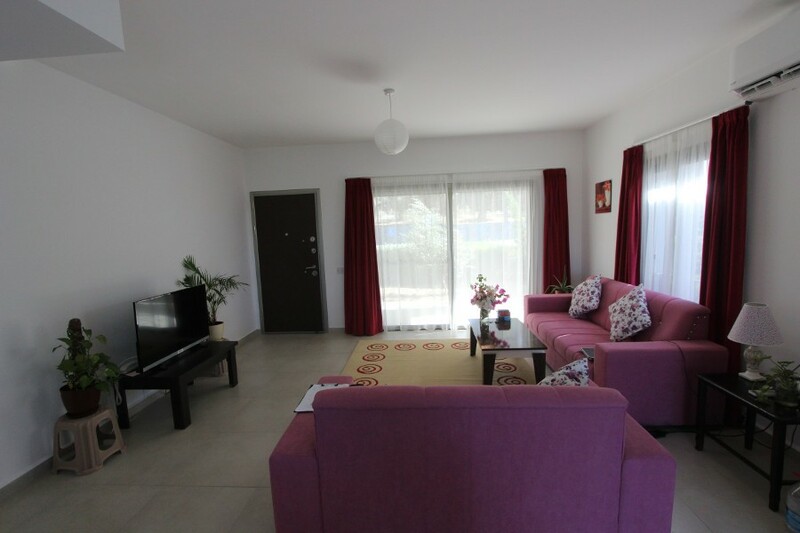 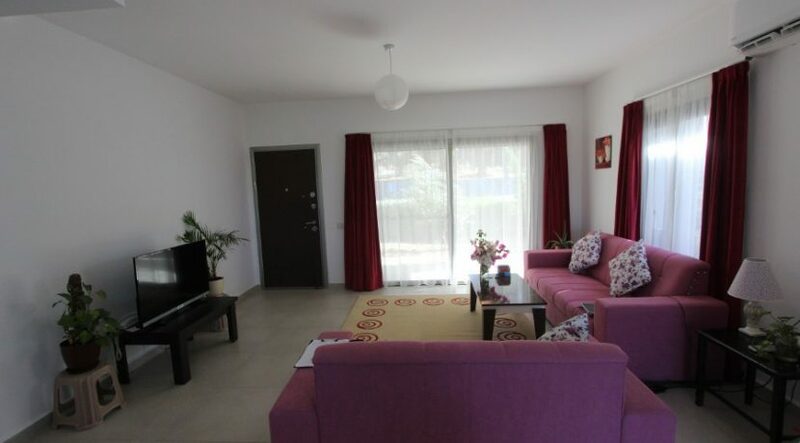 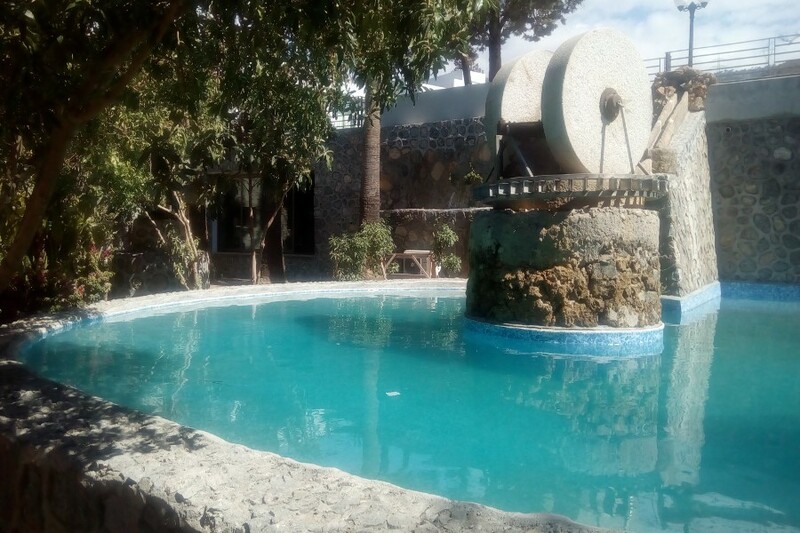 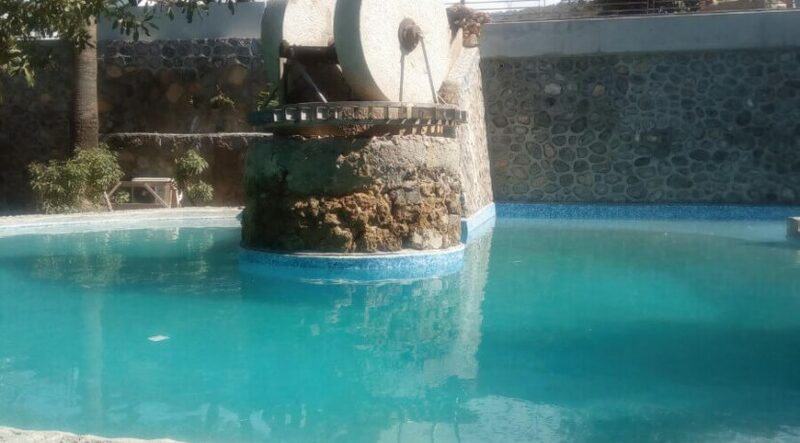 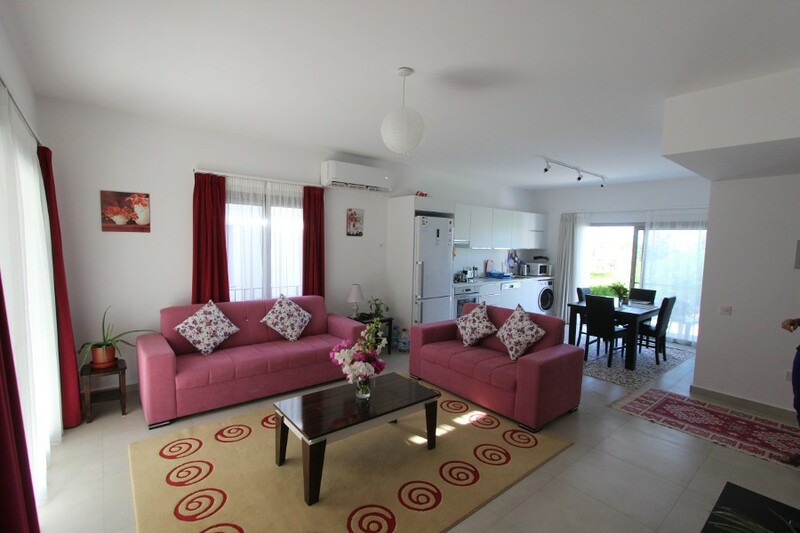 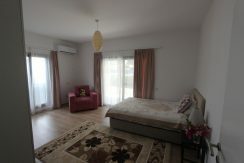 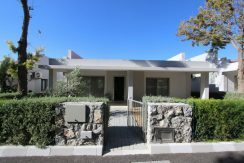 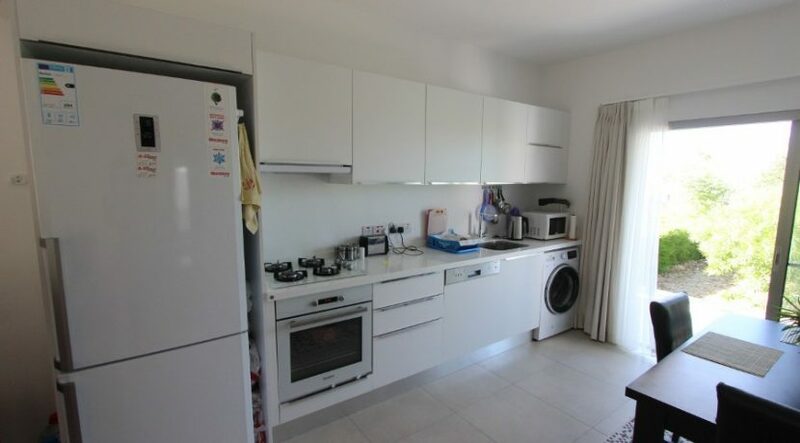 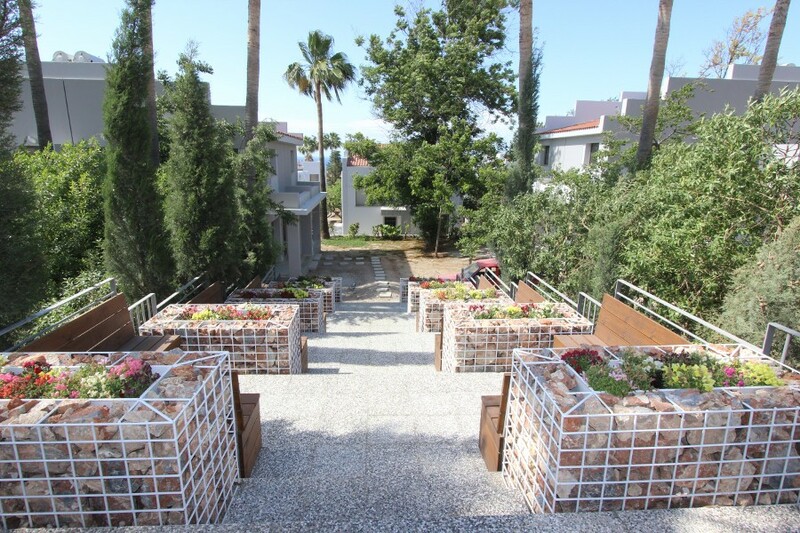 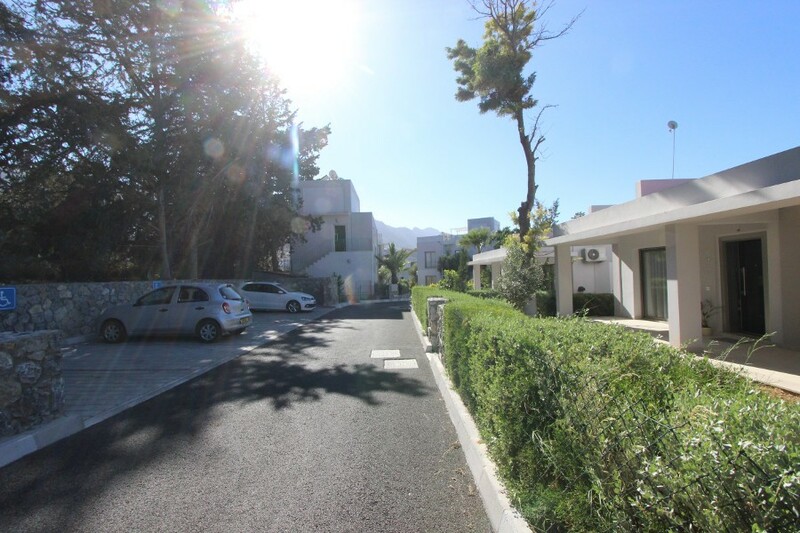 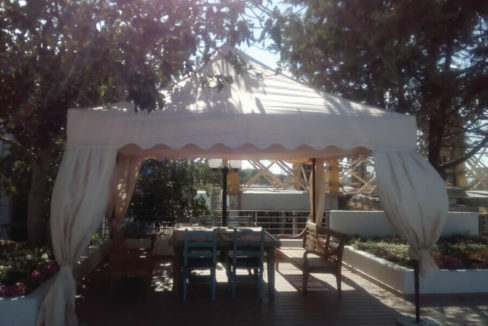 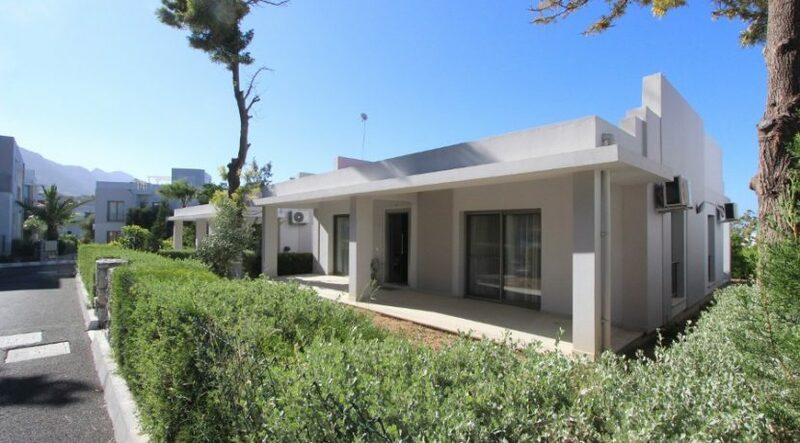 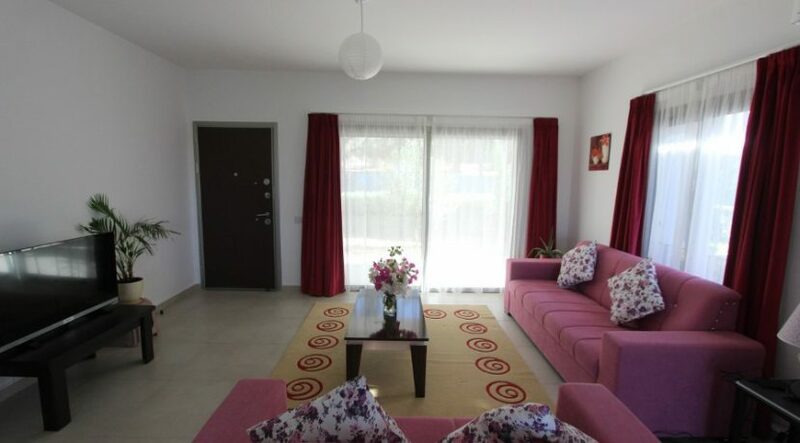 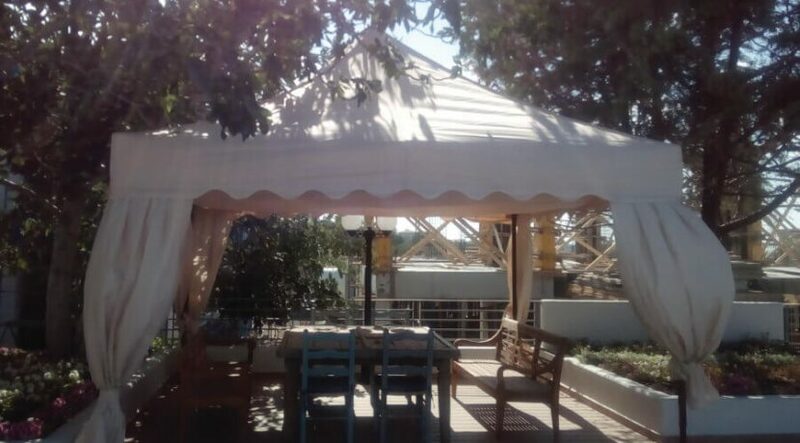 A spacious, fully furnished resale bungalow with lovely garden, set in a unique parkland setting with five-star facilities, only 10 minutes from Kyrenia and close to Necat English School. 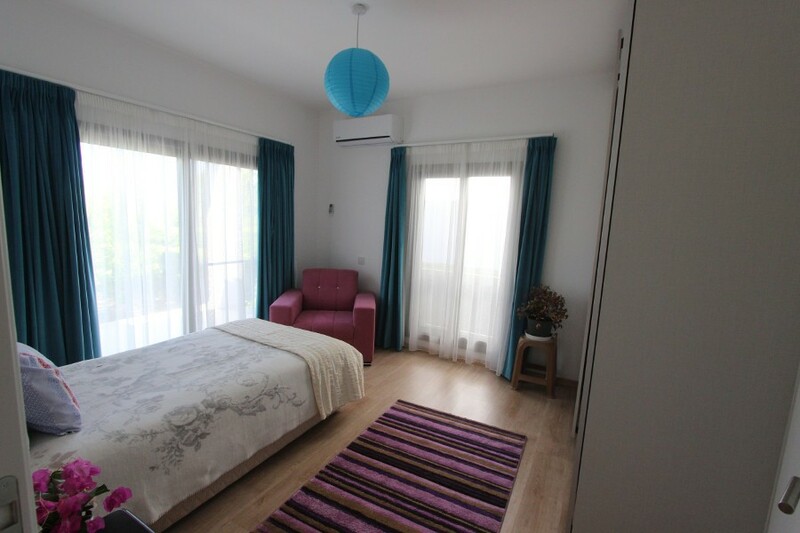 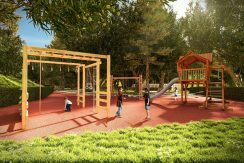 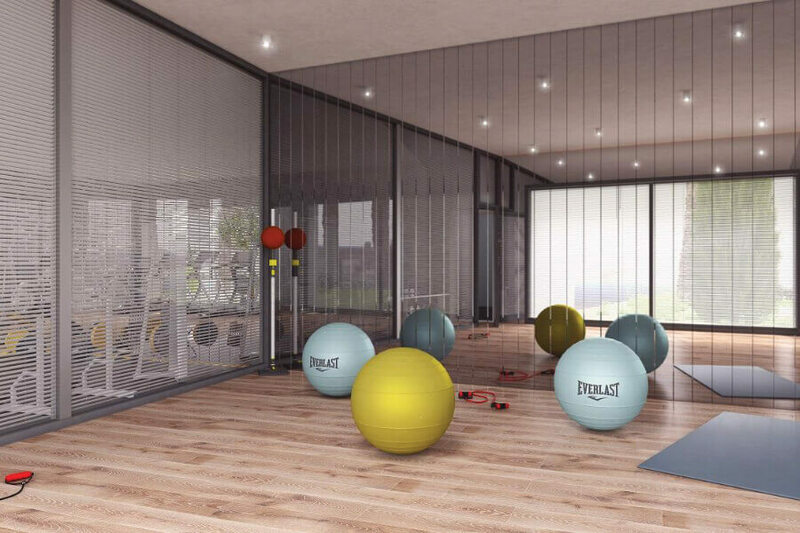 Wake up to the difference at this luxury parkland site! 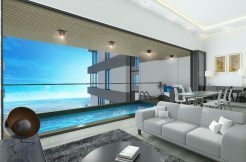 Enjoy a fabulous, ultra-modern private home yet set in exquisite, secure gated surroundings with shared facilities to rival any hotel. 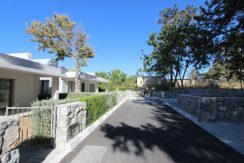 If you love nature – you will appreciate that this lovely home has been built to preserve the existing natural environment. 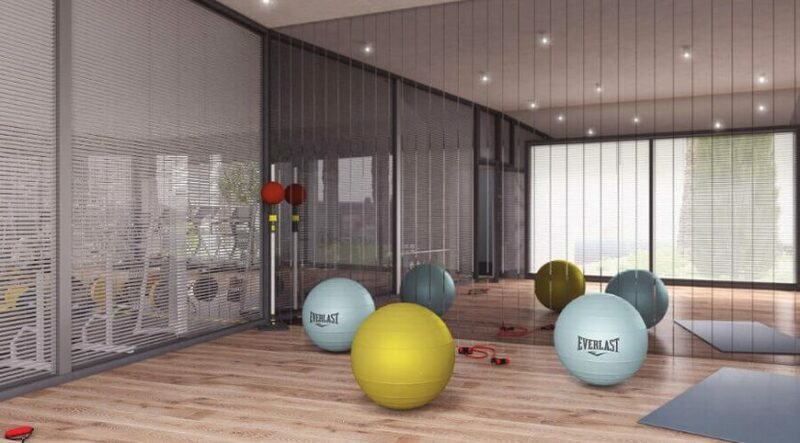 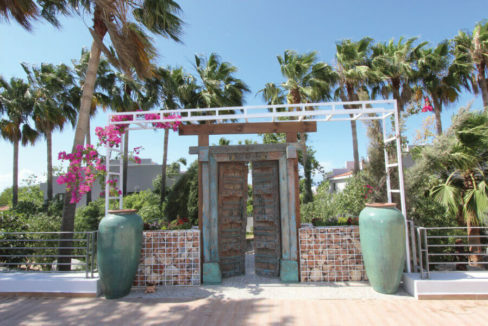 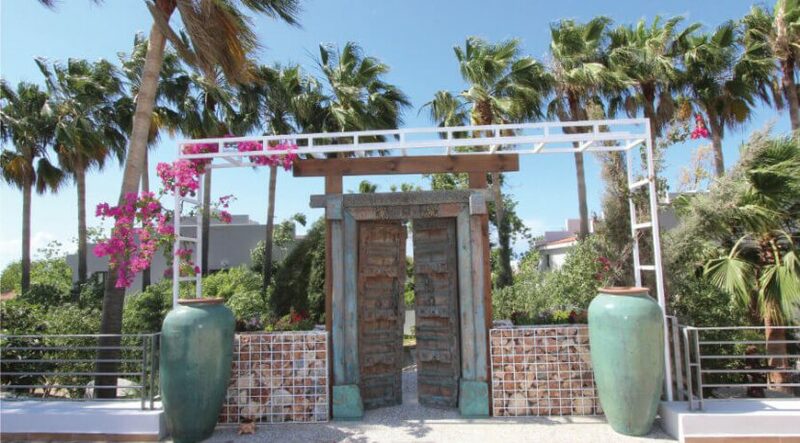 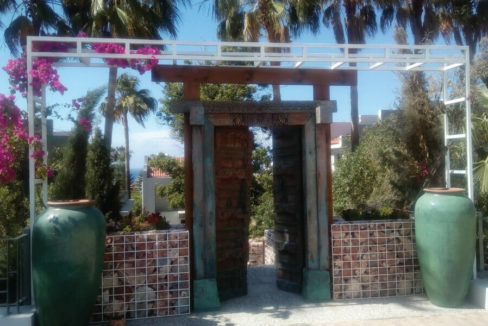 Enjoy the tranquil tree-lined, jogging tracks or take a stroll through the olive trees or lemon groves. 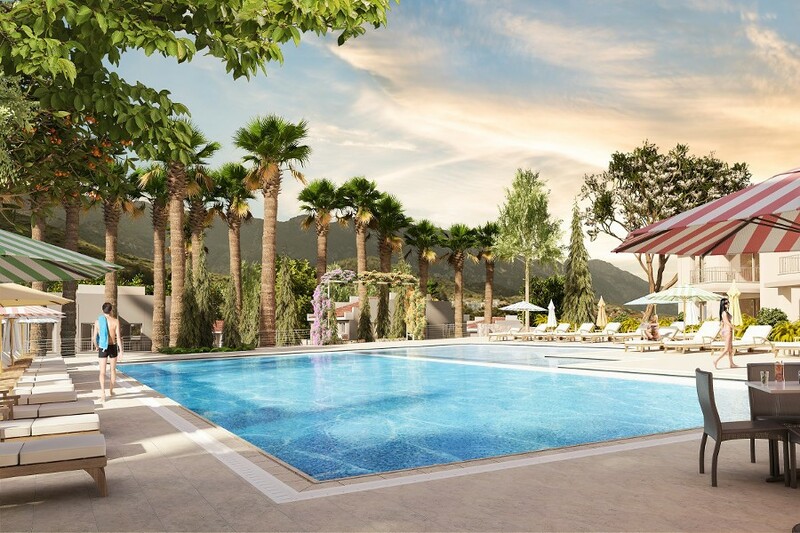 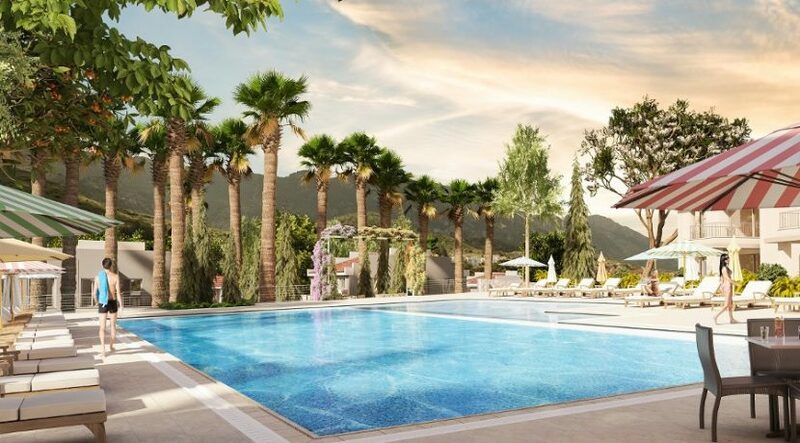 Relax by the large swimming pool shaded by palm trees, or eat at the site café. 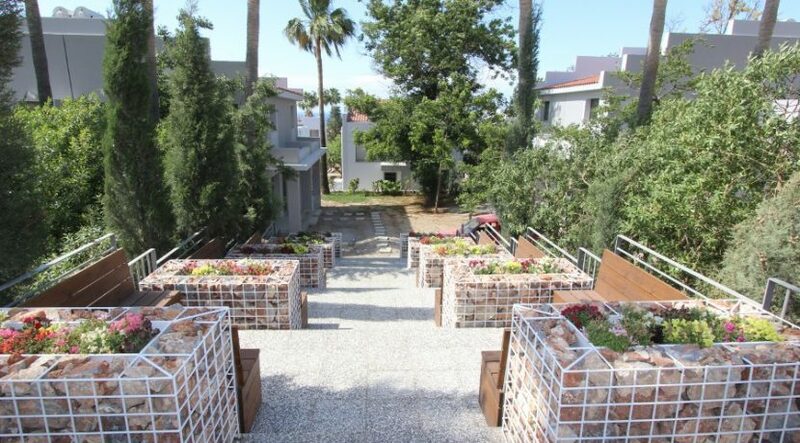 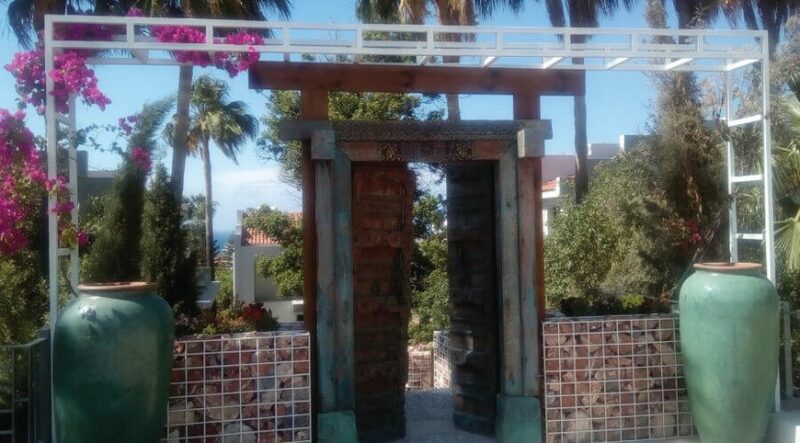 Take a stroll to the mini market and if gardening is your thing, enjoy the private organic garden plots. 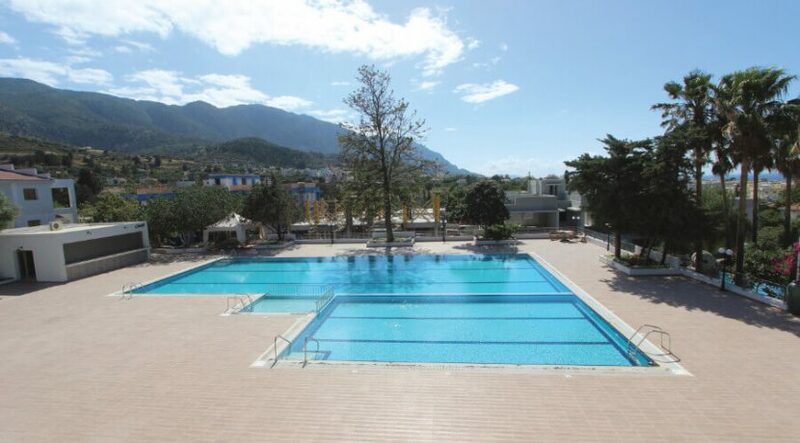 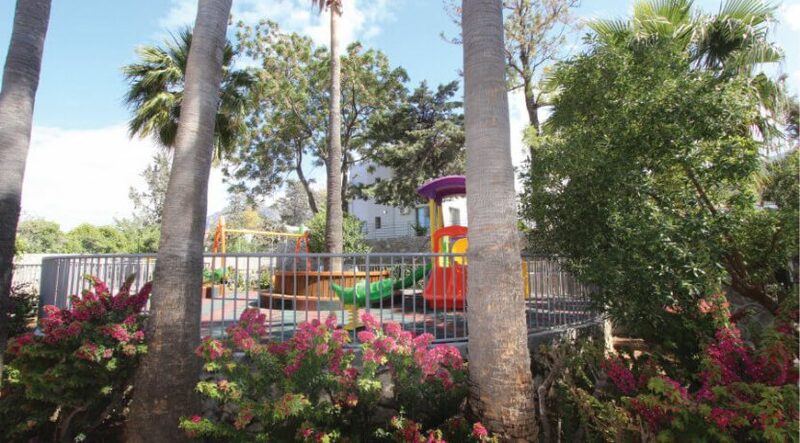 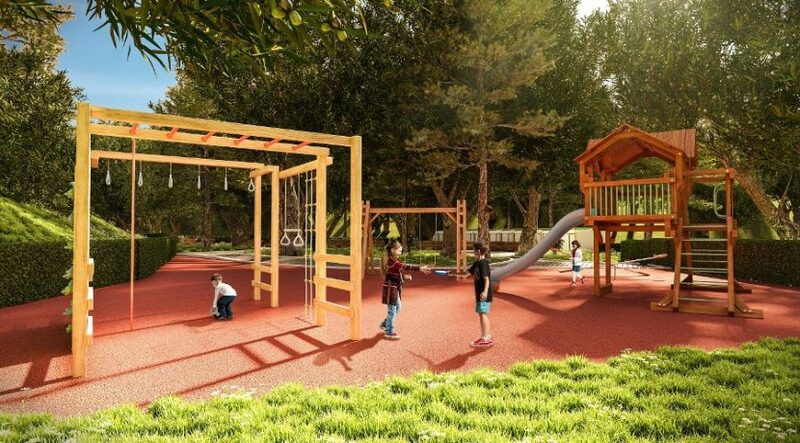 If you have children, one of the best English Schools in North Cyprus is a short walk away. 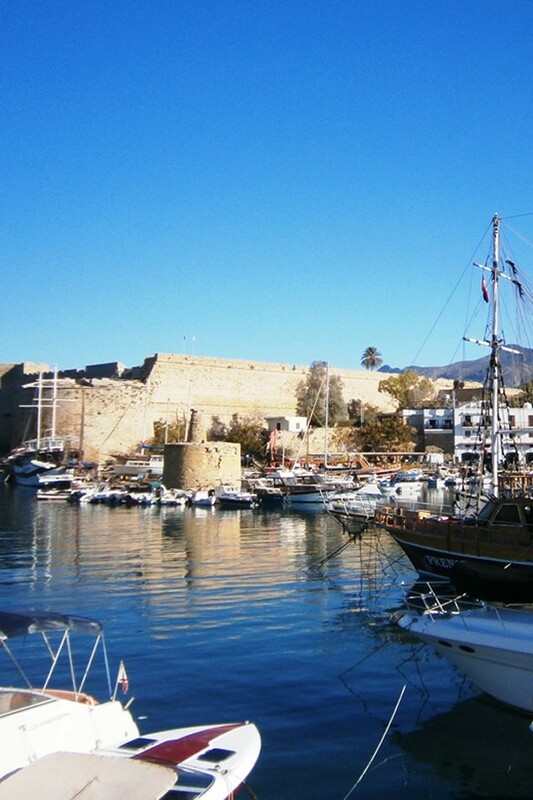 If you love a traditional environment, enjoy the nearby village with its traditional cafes and shops. 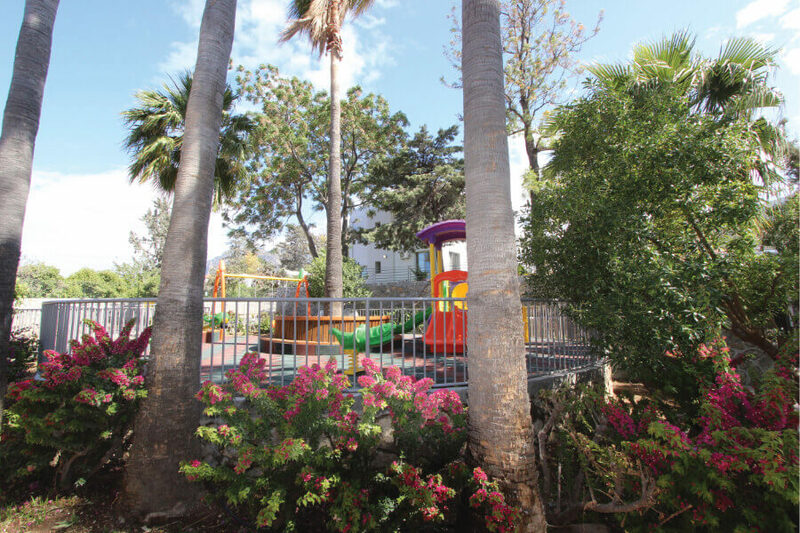 This site is bound to enjoy considerable capital growth – and offers huge investment potential due to its undoubted rental potential. 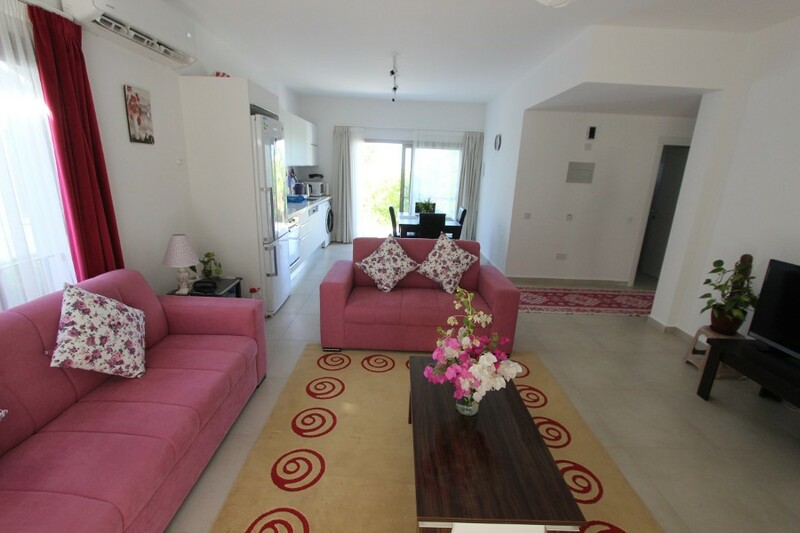 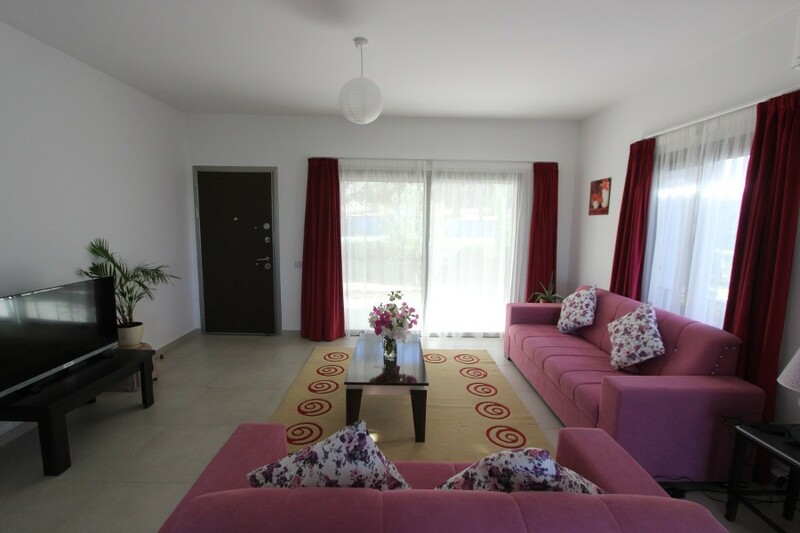 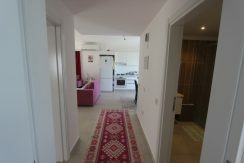 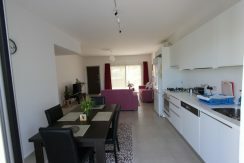 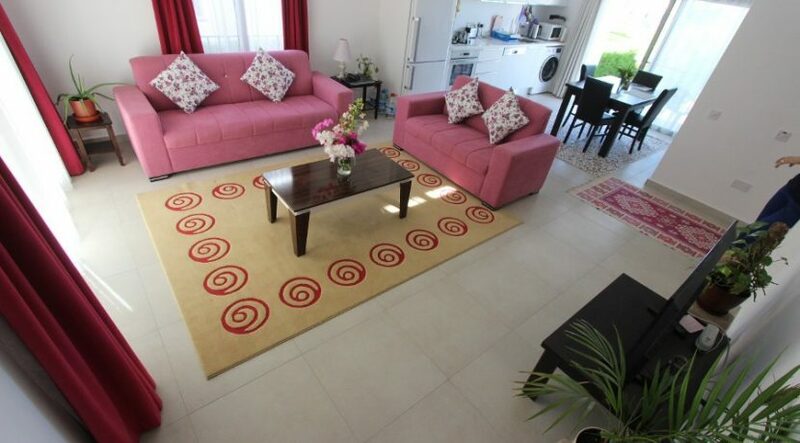 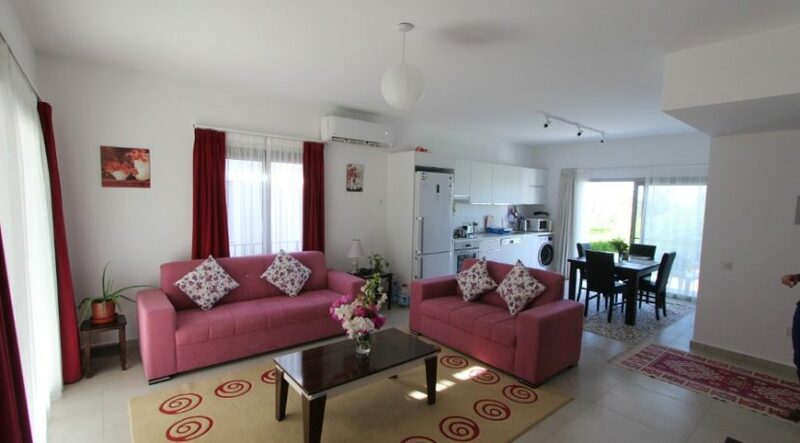 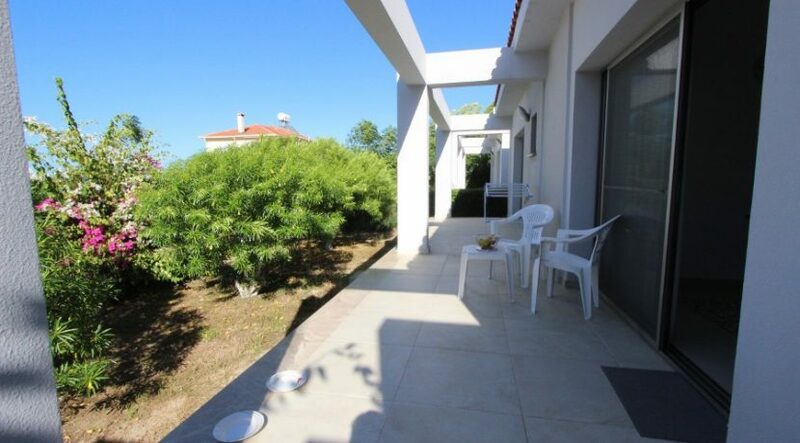 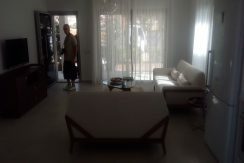 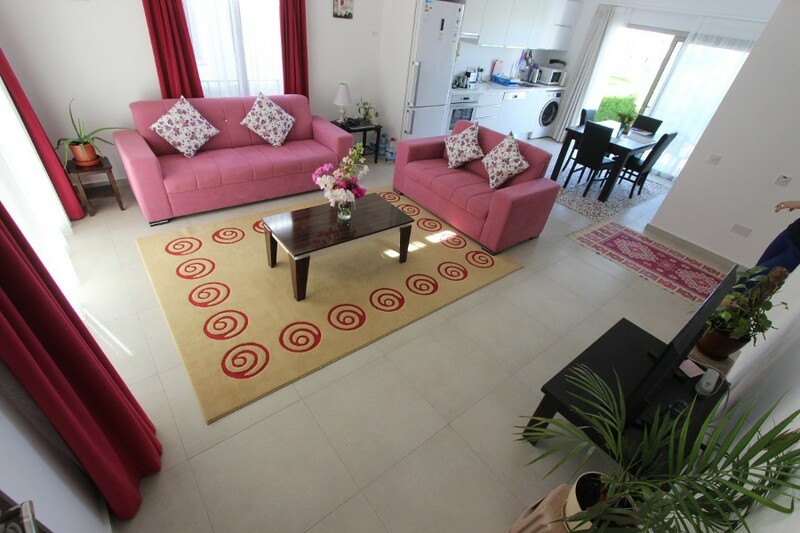 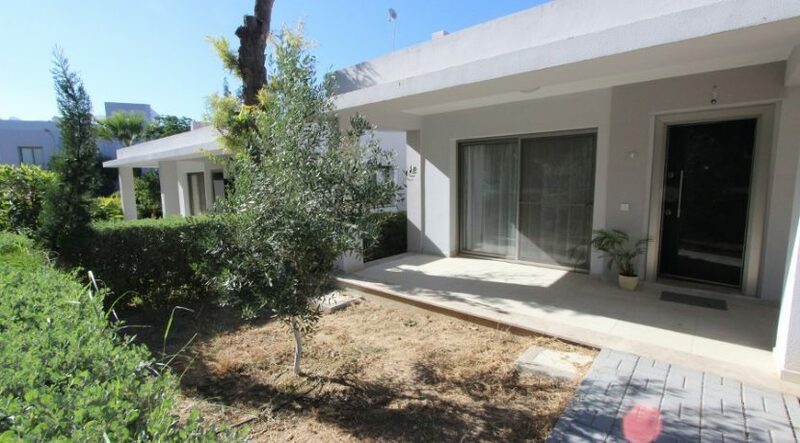 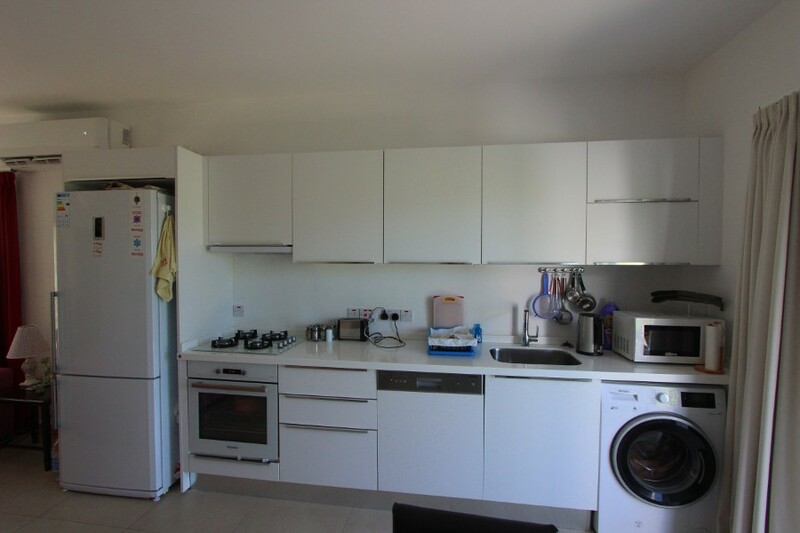 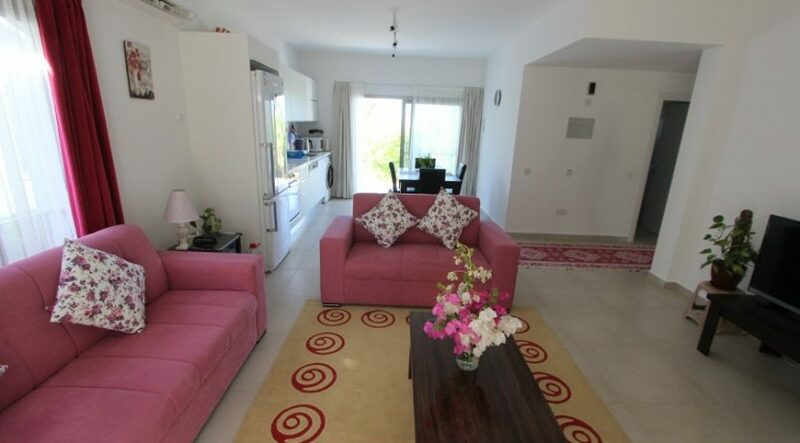 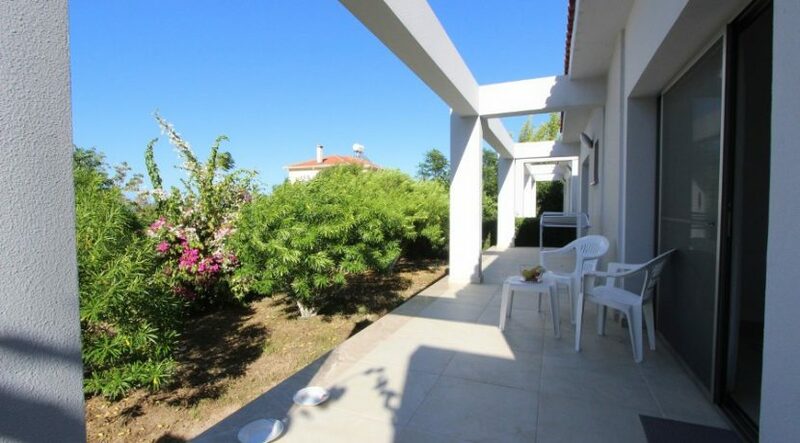 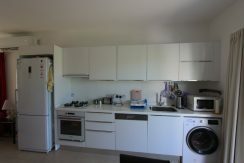 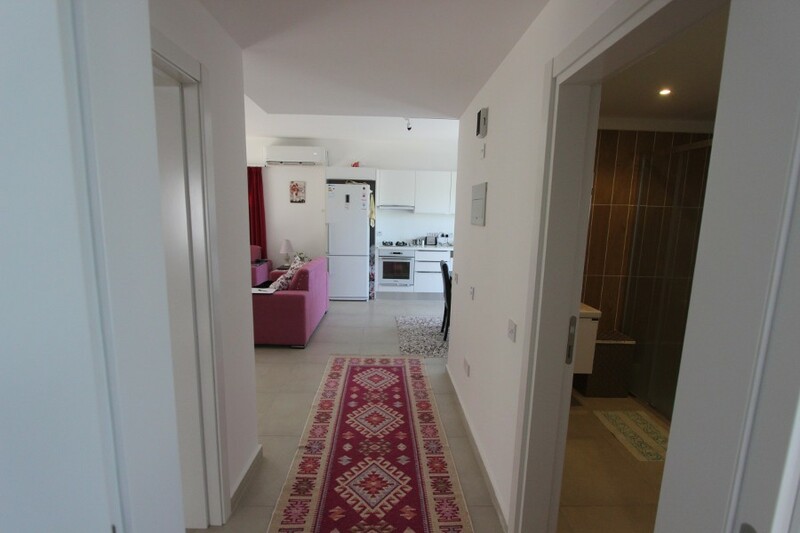 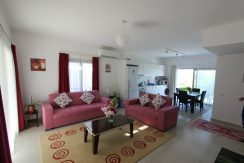 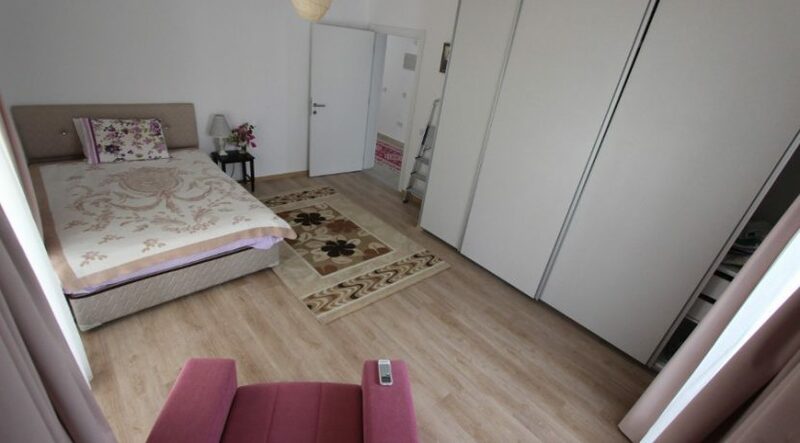 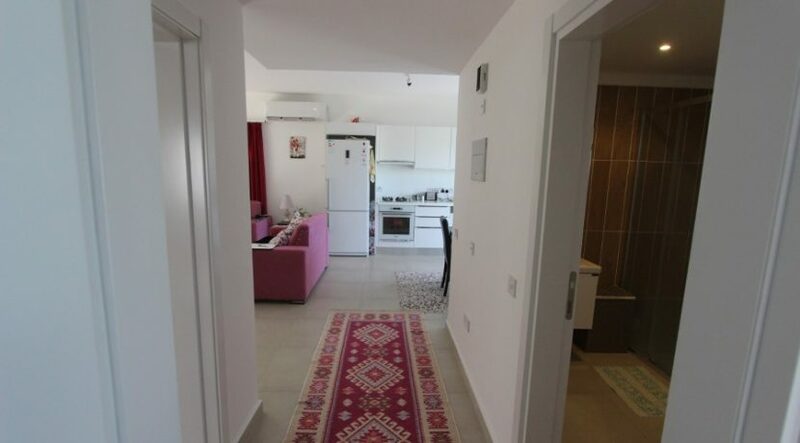 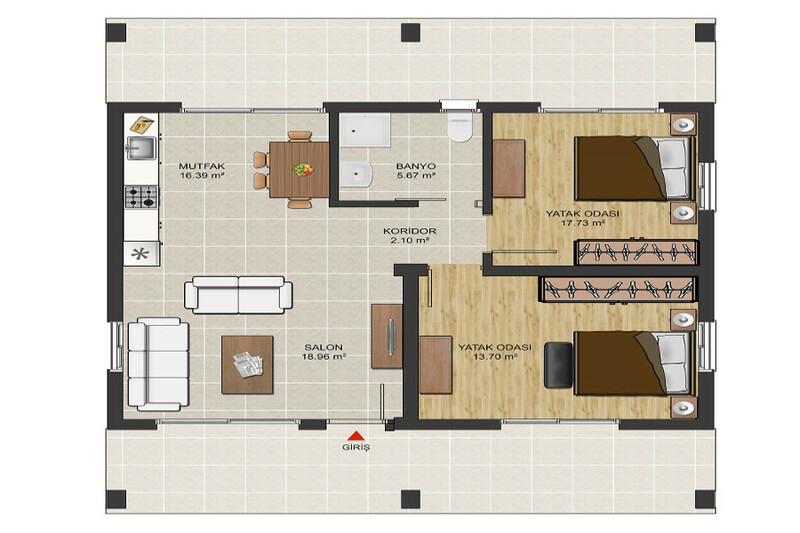 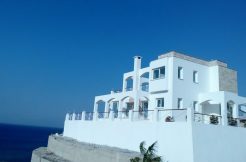 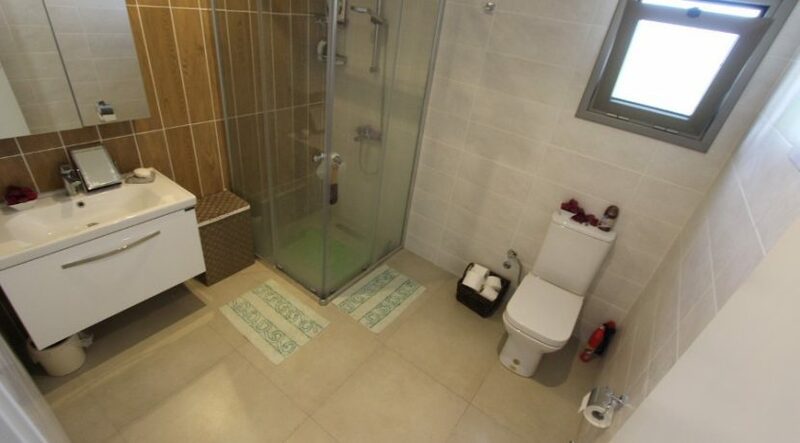 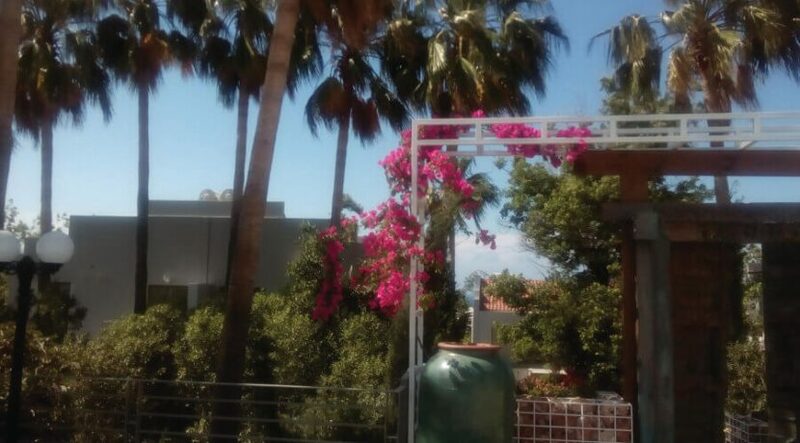 This lovely private North Cyprus bungalow exudes quality and charm. 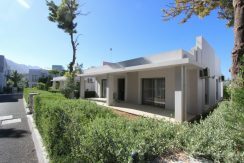 Enter via the front door into spacious open plan living area with lovely fully fitted kitchen and dining area overlooking the garden. 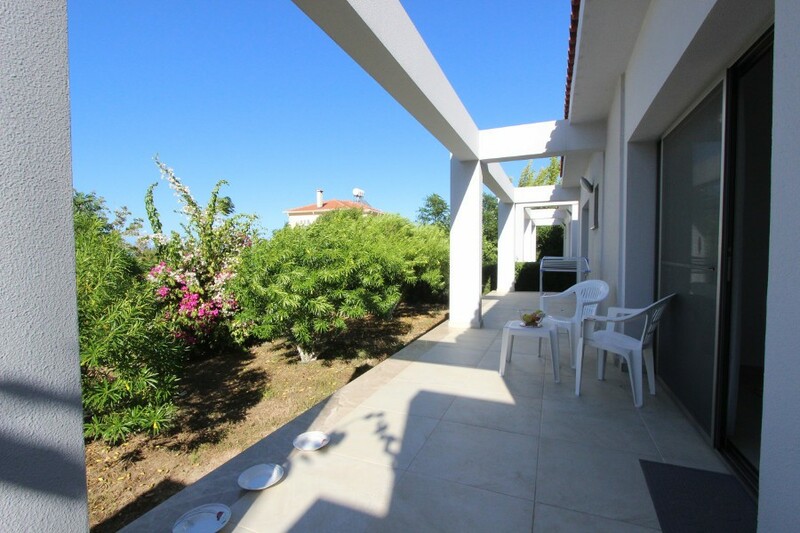 The French window ahead leads to sea view patio and private garden. 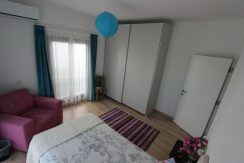 A side corridor leads to the two large double bedrooms and bathroom. 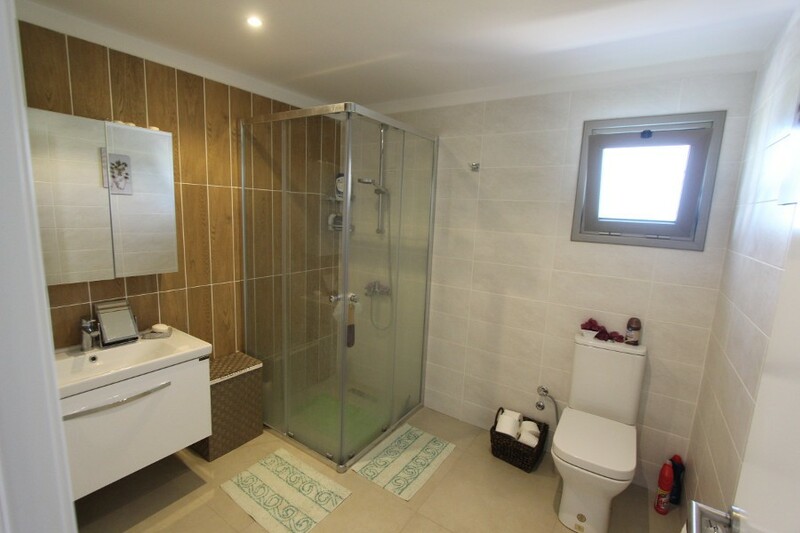 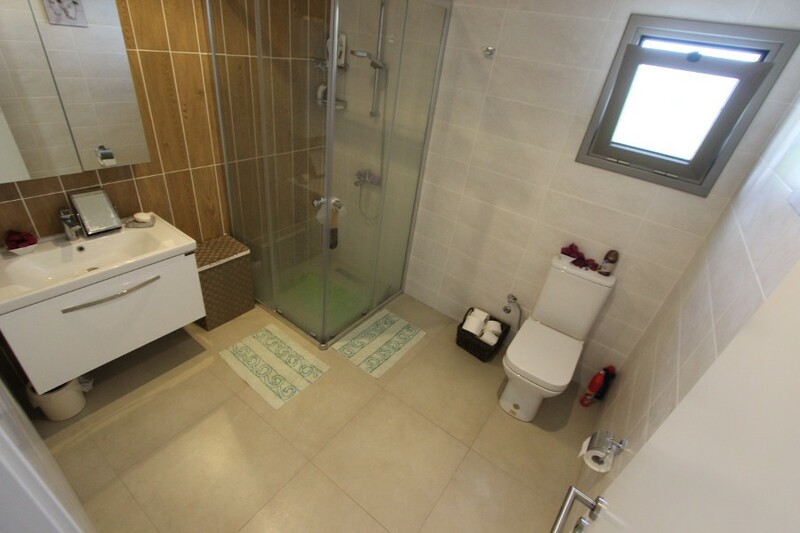 For an extra charge, a second ensuite bathroom can be created in one of the bedrooms. 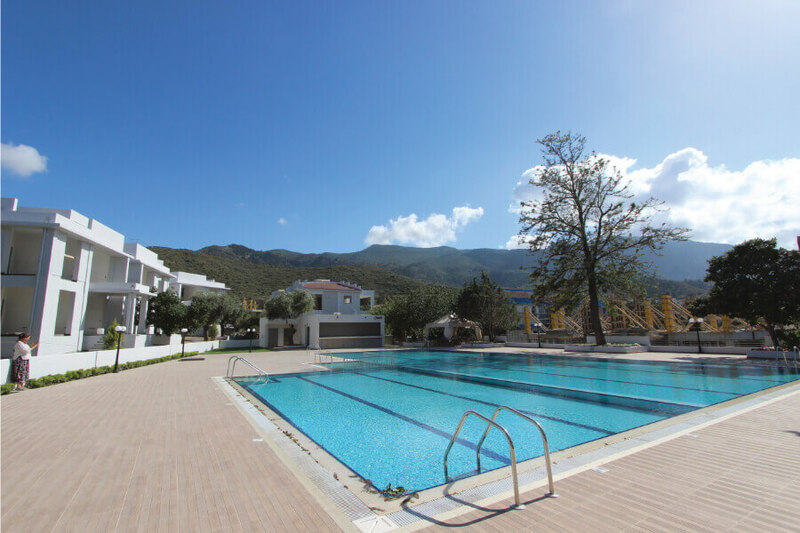 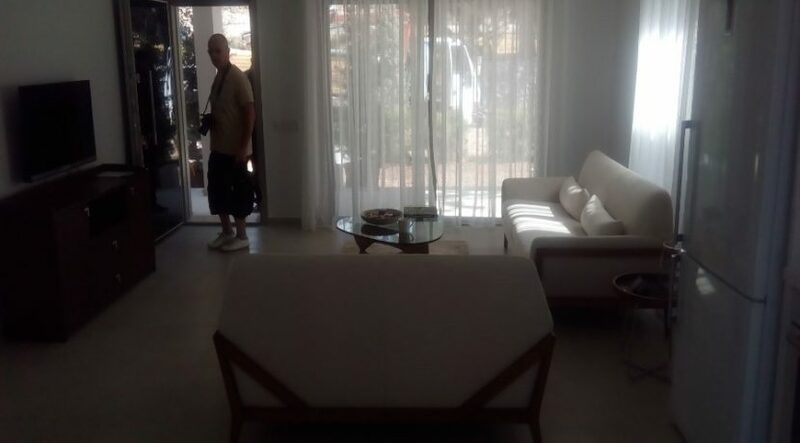 Call us now on +44 207 112 8086 or +90 548 861 0600 to arrange a viewing or NCI inspection trip. 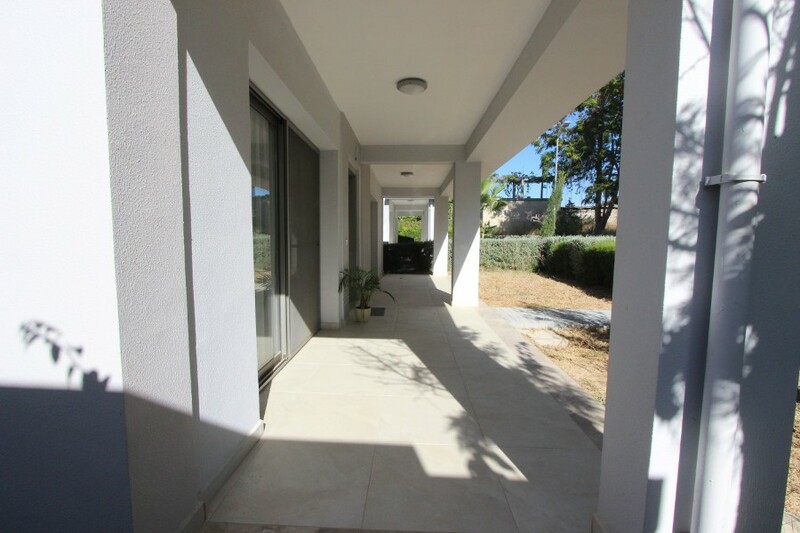 Details: Single aspect, sliding doors to the front terrace and garden. 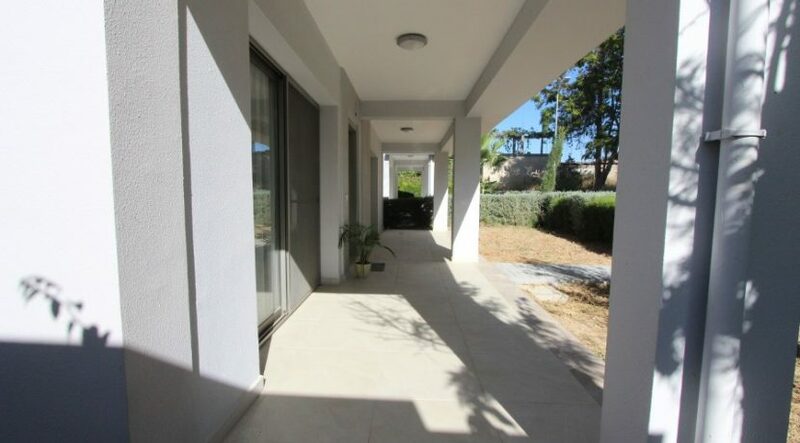 Details: Single aspect (sliding doors to back terrace and garden. 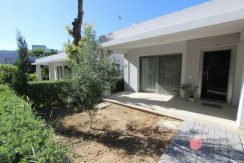 Details: Dual aspect (1 sliding window, sliding doors to front terrace and garden), large fitted wardrobes, air con unit, laminate flooring. 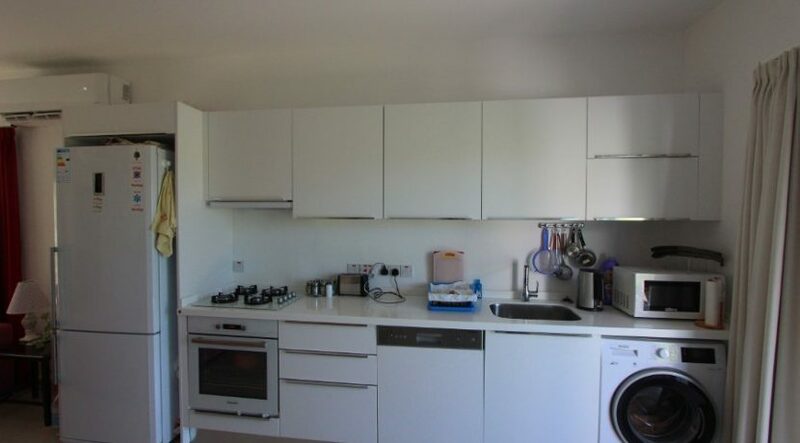 Details: Dual aspect (sliding window, sliding doors to back terrace and garden), fitted wardrobes, air con unit, laminate flooring.